Alpha Towing and Recovery is a committed partner for Eugene and Springfield area property owners. We take the time to understand the specific needs of each individual lot, ensuring the best possible outcome for managers and tenants. Alpha Towing and Recovery Services is fully insured above Oregon state requirements. We carry extensive towing insurance coverage including General/Auto Liability and Garage Keeper’s coverage. Alpha Towing and Recovery is also licensed by the State of Oregon to operate as an automotive towing provider. Call us to find out how we can help you too! Alpha Towing and Recovery provides property owners, property managers and property tenants with quality private property towing services. With a focus on limiting challenges between involved parties, Alpha Towing fosters an environment of compliance in order to reduce conflict. This minimizes the need for property manages to engage in parking issues and mitigate conflict resolution. Alpha Towing and Recovery will assist you to effectively communicate, warn and enforce your parking rights and responsibilities to ensure the needs of your customers and tenants are being met. They provide complete private property towing services to shopping centers, office buildings, high schools, colleges, residential complexes and municipalities. Eugene and Lane County drivers can drive in comfort knowing Alpha Towing and Recovery is always just a phone call away and ready to deliver fast, affordable 24hr roadside assistance 365 days a year. Their experienced roadside assistance operators have a vast knowledge of all vehicle make and models ensuring you have the best roadside experience possible. Alpha Towing and Recovery offers complete Eugene and Lane County towing services 24/7/365. Their trained and certified towing operators are always ready to answer the call for service. 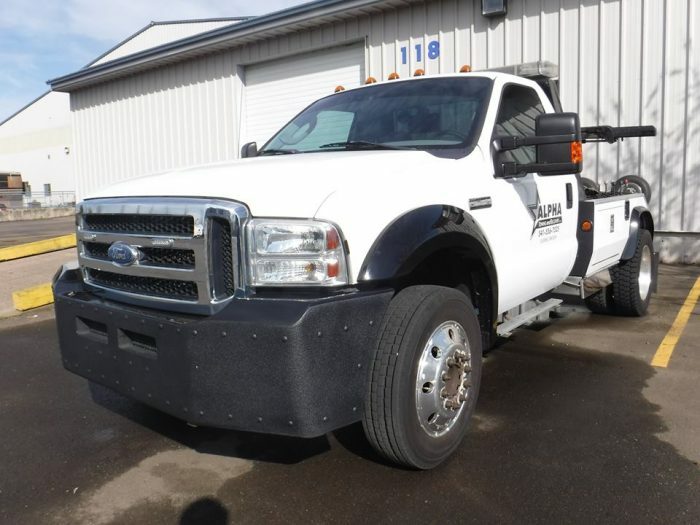 Services include: Local and long distance towing, emergency towing, police towing, private property towing, car loading, abandoned car removal, flatbed towing, junk car removal, medium duty truck towing and motorcycle towing. Classic and luxury vehicles require special care and often special equipment to ensure safe and secure towing. Partner with Alpha Towing and Recovery, they use a no-metal-to-metal process to prevent scratches and transportation marks. If you are a rare or collectable vehicle owner in the Eugene and Lane County Area, give us a call. Do you need this service immediately? At Alpha Towing and Recovery we are dedicated to delivering the highest level of service. We understand the frustrations that come with getting or needing to be towed. Our tow operators are professionals that treat your vehicle as if it were their own. When my car was stranded on the side of the road because of a popped tire I called Alpha Towing and they were there quickly. What great customer service too in my time of need. One of our customers was in a pinch in Eugene so we called Alpha Towing. They were amazing! They were able to quickly get to the customer and get them to their destination. My customer was extremely happy with their services, as were we. When my husband's truck broke down out in the middle of nowhere Clay at Alpha Towing made it out and was able to tow him back into town quickly and affordably. Since then he is the only person we call if we need a tow or recommend to others! We love the service that we get when we call Alpha Towing. They always treat our vehicles like its there own and are very friendly.